Have I ever told you that I love shrimp? Well, I do. I *love* shrimp. The first few formative years of my life were spent in Northern Florida between Pensacola and Jacksonville. Some of my first family dinner memories involve us all sitting down at the dinner table with a big mixing bowl full of fresh cooked shrimp to share between us all. I’m like Bubba from Forest Gump, I can eat shrimp almost any way they can be made – shrimp gumbo, shrimp cocktail, shrimp pasta, shrimp burger… you get the idea. Look at that pile of deliciousness! I also love lime and you should know by now about my love affair with cilantro. So what makes this recipe great besides all those key factors? It’s super easy to make. In no more than 5 or 10 minutes of cook time we had a bowl full of these delicious guys. Served over rice with some steamed veggies, we had a full meal. These might be pretty good with many other meals too – tacos, poboys, fajitas, salads. Heat a large frying pan on medium-high heat. Add oil to the pan, when hot add shrimp. 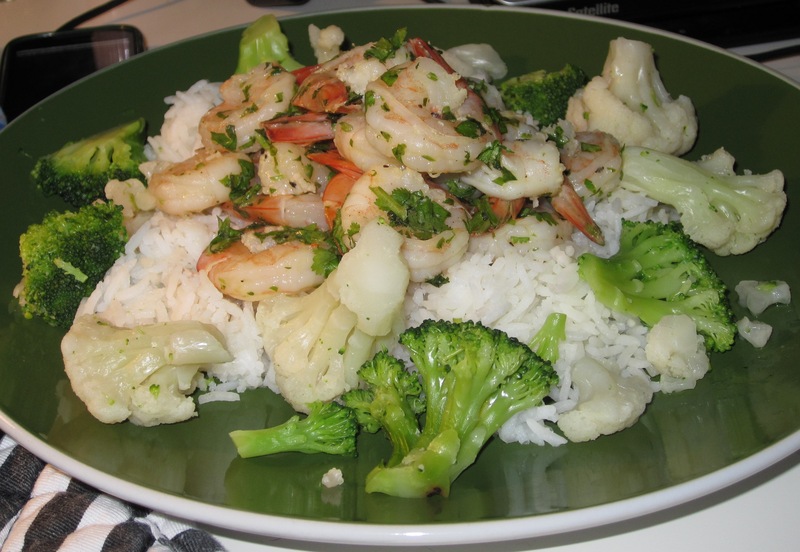 Sauté another minute or two until shrimp is cooked, careful not to overcook. 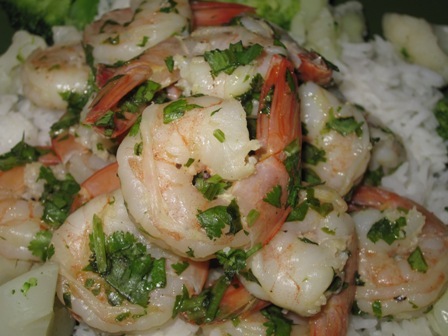 Squeeze lime all over shrimp and toss with cilantro.